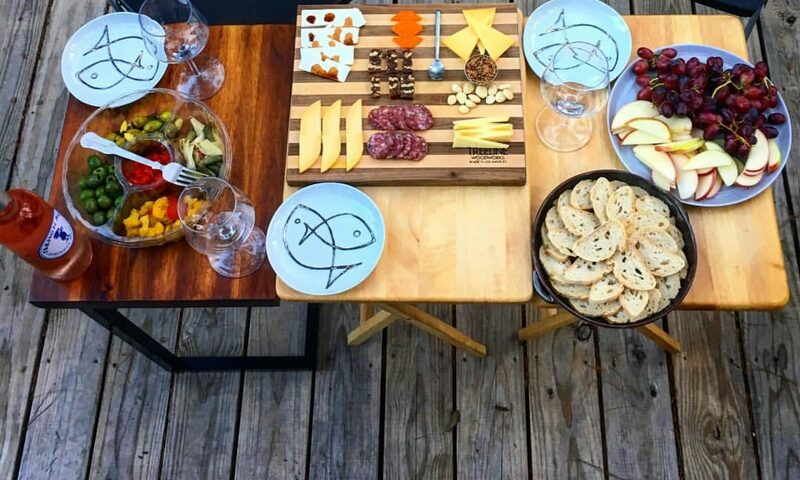 This is quite possibly the easiest dinner I have ever assembled. Short of a freezer meal. Last week, there was one night I didn’t get home until almost 10pm. After work I went shopping and then I went running and then I had to pick up a few things at Target. By 10pm I was hungry and tired and not in the mood for a lot of fuss. But I still wanted something tasty and relatively healthy. Enter this beautiful creation. I served this with a big glass of water and one of my grandpa’s homemade whole wheat rolls topped with a smear of Earth Balance. I was surprised at how quickly this meal came together and pleased with the tastes, textures, and nutritional balance. 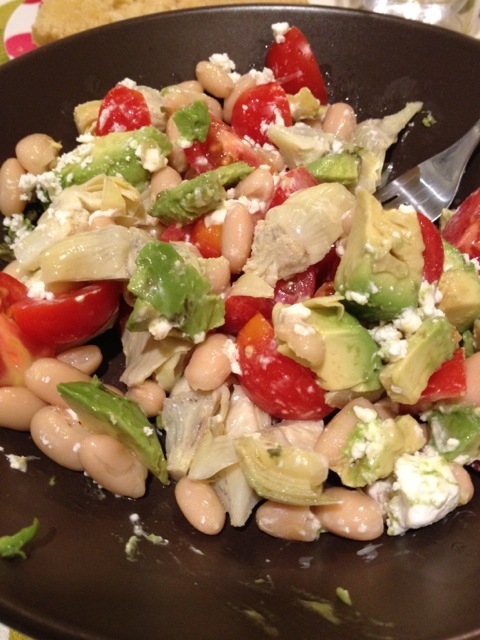 The artichokes and tomatoes were sweet and light, providing a contrast to the rich, buttery avocado and beans. 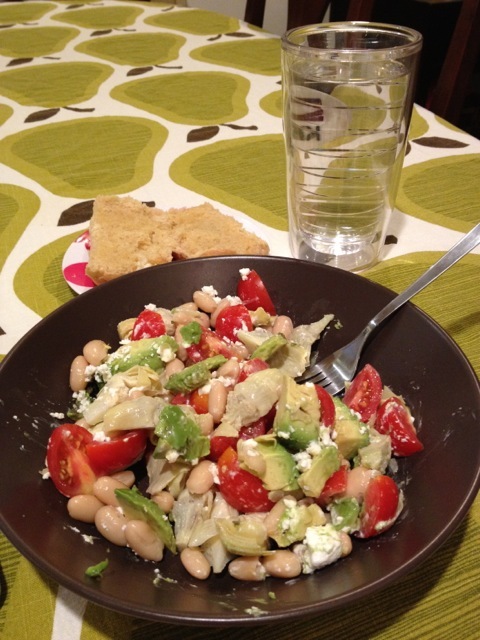 The beans provided fiber and protein, the avocado and olive oil provided healthy fat, and the tomatoes and artichokes contributed to my 5 – 9 daily servings of fruits and vegetables. I highly recommend keeping some pantry staples (beans and canned veggies) on hand to mix with fresh veggies when you are crunched for time but still want to eat real food. I can definitely imagine this combination appearing in my life again for a quick, light summer lunch or dinner.